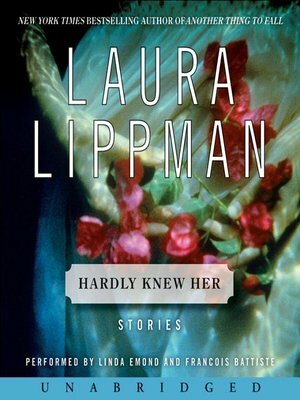 New York Times bestselling author Laura Lippman turns her attention to short stories—and reveals another level of mastery. Lippman sets many of the stories in this sterling anthology, Hardly Knew Her, in familiar territory: her beloved Baltimore. But Lippman is also unafraid to travel—to New Orleans, to an unnamed southwestern city, and even to Dublin. Tess Monaghan is here, in two stories and a profile, aligning herself with various underdogs. And in her extraordinary, never-before-published novella, "Scratch a Woman," Lippman takes us deep into the private world of a high-priced call girl/madam and devoted soccer mom, exploring the mystery of what may, in fact, be written in the blood. Each of these ingenious tales is a gem—sometimes poignant, sometimes humorous, always filled with delightfully unanticipated twists and reversals. For people who have yet to read Lippman, get ready to experience the spellbinding power of "one of today's most pleasing storytellers," (San Diego Union-Tribune). As for longtime devotees of her multiple award-winning novels, you'll discover that you hardly know her.